This Thursday at the Naas Court Hotel, we are launching three of Ireland's top racing classes- The Keelan Construction Fiesta Zetec Championship, the Fiesta ST Championship and the Irish Strykers. 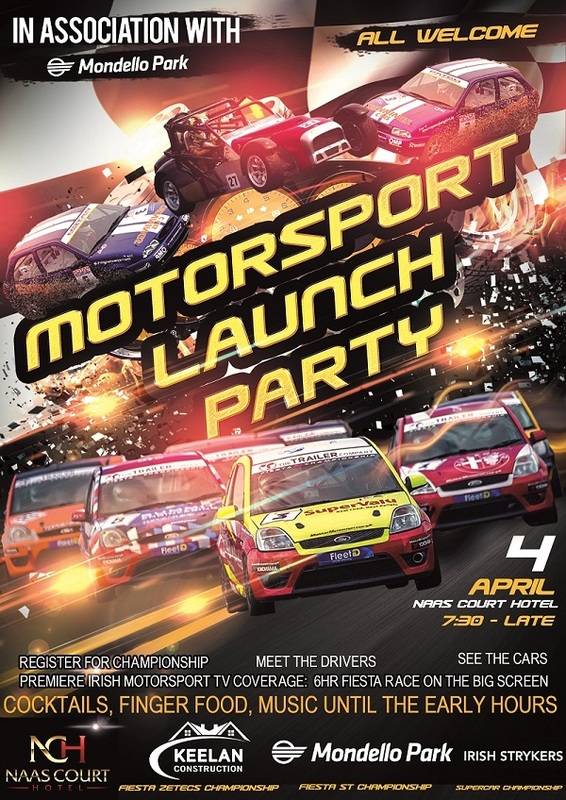 We will have cars on display from all three classes, representatives and drivers to chat to, complimentary cocktails and finger food and we will be showing the first viewing of the Irish Motorsport TV Coverage of the Fiesta 6 Hour Race. If you have an interest in one of the classes or even if you are considering starting in Motorsport- pop in and get all the information you need.